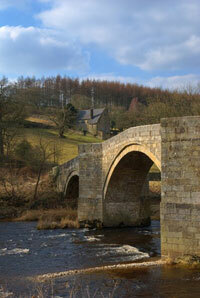 Rent a cottage as a base for a walking holiday near Buckden Pike in the Dales. Walking here could be a test of fitness for the whole family. The small hamlet of Buckden is located on the Dales Way, at the northern part of Wharfedale, below the imposing and odd proportions of an old mine and hill top called Buckden Pike, inclusive of the hamlets of Cray, Hubberholme, Raisgill, Deepdale, Beckermonds, Yockenthwaite, Oughtershaw and Greenfield. It is, I would say, an inspirational destination for walkers, cyclists and holidaymakers as it is the beginning of many challenging routes which will be a test of strength, as far adventure walking is concerned. Within the surrounding area of Buckden, a walker can persist for various types of walking activities, depending on the level of expertise and competence. There are quiet gentle walks for those that are unfit, due to not getting enough exercise. In addition, there are more challenging country paths for those who have a higher level of fitness. Either way make sure that you are suitably dressed and wearing the right kind of walking shoes for those treacherous rocky contours along the Pike. The easiest approach is to amble along and take in the wonderful views of River Wharfe, begin by walking southwards towards Starbottom and Kettlewell, gravitating towards Hubberholme and Yockenthwaite in the north. The exacting routes are the ones found within Buckden Pike, crossing into Littondale, either through Birks Fell into Litton from Buckden, or walking over the Horsehead Pass to Halton Gill from Yockenthwaite side. If the taxing walks within Buckden Pike are not enough to tire you, then there is a further challenge that you can take up. If your feet can handle it, undertake the Dale Traverse 28 mile range, with an inclination of 5000 feet. 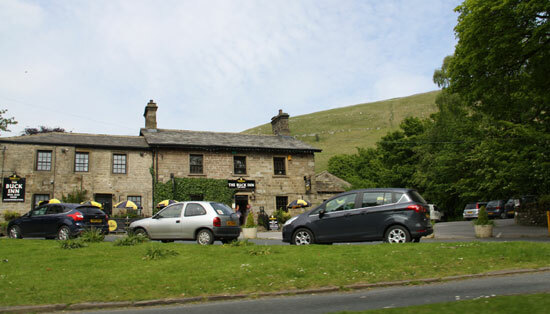 The actual walk begins at Kilnsey and crosses from Arncliffe into Litton, going into Buckden parish, rising into Buckden Pike, and then going back to Kilnsey through Kettlewell and Conistone Pie. Provided your fitness level is high then this 12-hour walk will be the final test of your endurance levels. Buckden Pike, also known as a ‘’Hewitt’’ is 702m (2303 ft) high. ‘’Hewitt” meaning hill in Ireland, Wales and England is usually 2000 feet high. Buckden Pike is the fourth highest peak in the southern Dales, and, in the 16th and 19th centuries much of the area was a mine – known as Buckden Gavel lead mine. These days it is a setting for the annual Buckden Pike Fell Race, held every June. The race is particularly strenuous and is 4 miles long with a 1500 feet climb, which begins at the local village green and terminates in the Gala field. It, has been, held for 25 years, and is quite an exciting event to participate in, so if you are going to plan an activity holiday then it might be a brilliant idea to time it so you can attend, - it will be fun! You may even win a prize that you can show off to your friends and family – it will be worth it. Plan ahead if you want to participate in the race and book a cottage or self-catering accommodation in the Yorkshire Dales in advance. A deposit can reserve a booking up to a year ahead.